This post contains affiliate links, which means that if you click on one of the product links, Marvy Moms will receive a percentage of any sale. This does not affect the amount you will pay for an item or service and in no way changes opinions expressed by Marvy Moms or Marvy Moms writers. For more info, see Marvy Moms Disclosure Policy. Many people have elderberries growing in their yard that are ripe for picking in early September, and can use those in their syrup. Since I don’t have access to fresh, I went online looking for dried berries. Mountain Rose Herbs was the first place I checked out, but they were sold out of organic dried elderberries, so instead I ordered through a friend that runs a Frontier Co-op so I could get them for half the price of the local health food store. Just as I was getting ready to order a pound of dried elderberries, we all started to get sick. My son had a slight fever and we all started in with runny noses. 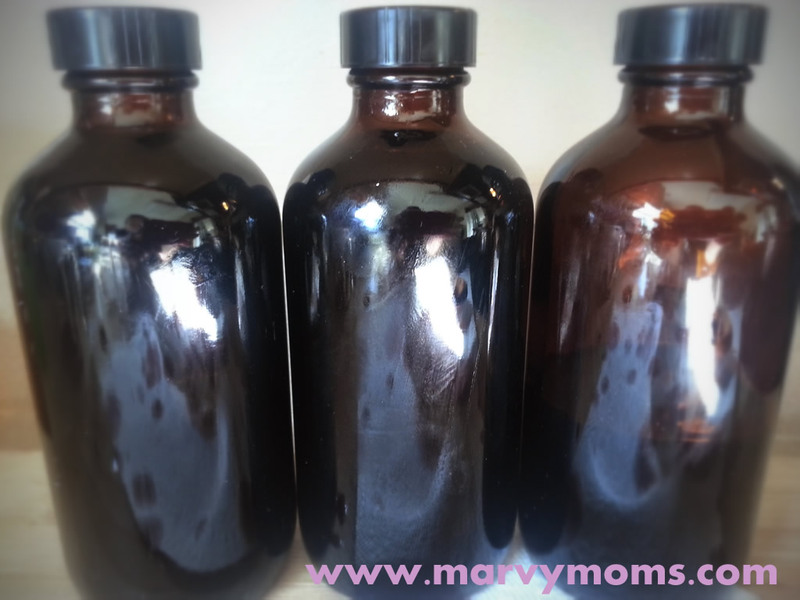 I took a trip to the local health food store and picked up a bottle of pre-made elderberry syrup just to get us started. I bought the Gaia version of Black Elderberry Syrup, which is also available from Amazon. At $23 for 5.4 oz of syrup, it cost more than all of the ingredients combined for a homemade version that has a 16 oz yield. An additional benefit of making your own syrup is to get the allergy-relief benefits of using raw local honey in the recipe (I suffer from allergies year round). 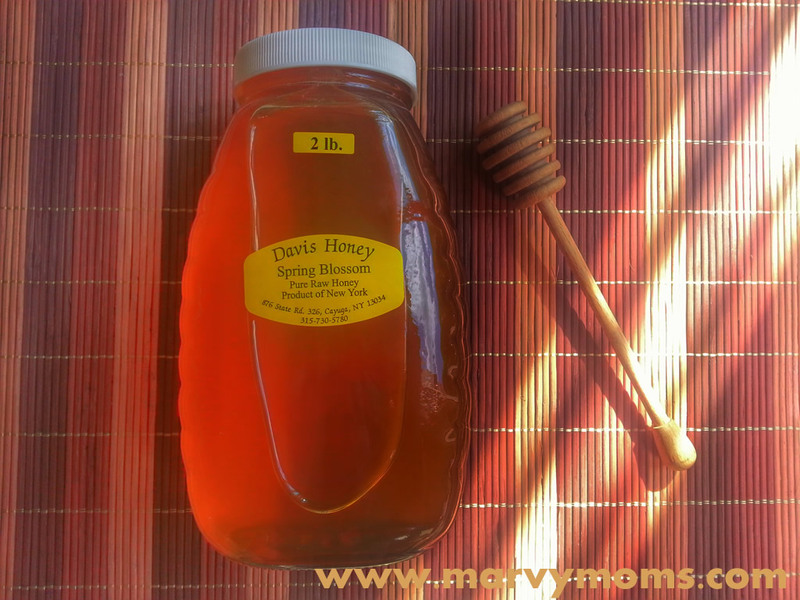 Next, I headed to the local public market and bought a 2 pound jar of Spring Blossom Pure Raw Honey from Davis Honey (a local-to-me source). I loved that I was able to sample the different varieties to choose the one I liked best. The one I bought has a touch of mint flavor to it, something that the apparently doesn’t happen every year. An interesting fact that the beekeeper shared with me is that bees don’t typically pollinate ragweed, so there would be no ragweed in the honey. I’m not sure if this is good or bad for a ragweed sufferer such as myself. Also at the market, I purchased some whole cloves (not organic, but at least I’m supporting local). 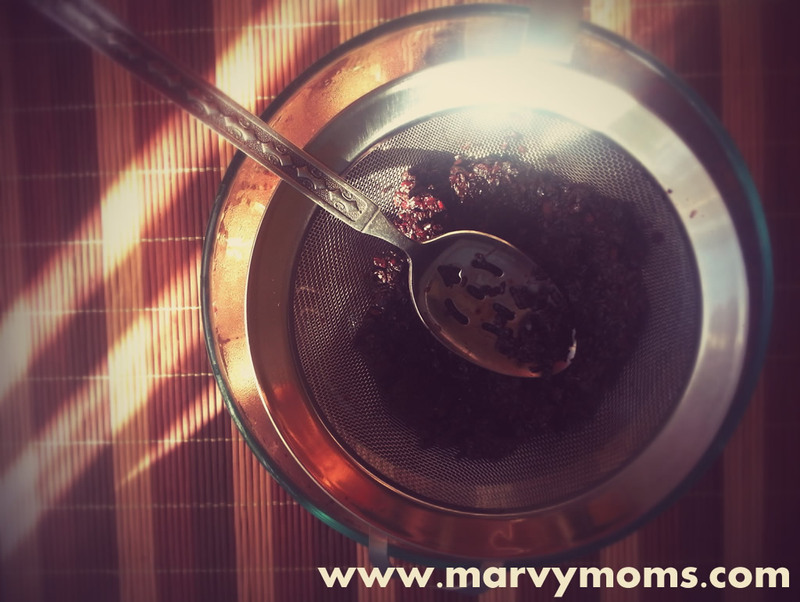 My friend, Jean Maynard, said she follows the Mountain Rose Herbs recipe for elderberry syrup, so I thought I would give it a try. 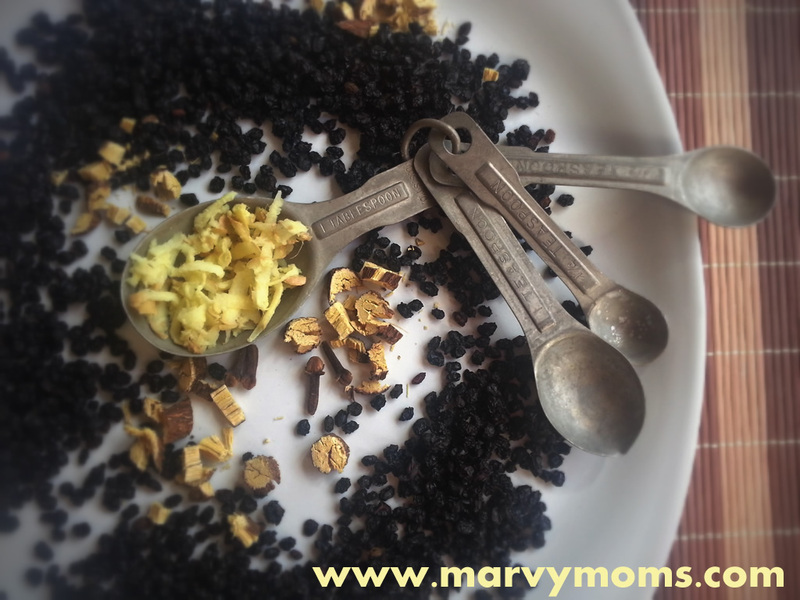 It calls for elderberries, local raw honey, fresh ginger, a cinnamon stick, and whole cloves. I left out the cinnamon, since my son had a slight allergy to cinnamon a couple of years ago, and I’m just not ready to try that again. The recipe from Mountain Rose Herbs is similar to most all the other recipes I’ve found, and they have a handy video available. Put all ingredients, EXCEPT honey into a saucepan and bring to a boil. Once boiling, reduce heat and simmer with lid partially on for 30-40 minutes, or until the liquid is reduced to about half of when you started. Pour through a strainer into a glass bowl. Use a strong spoon to smash berries and squeeze as much juice as possible out through the strainer into the bowl. Allow to cool (I couldn’t wait until it was completely cool, when I put my finger in the bowl it was warm, but not hot enough to feel like it might burn). Once cool, pour in honey and stir. Pour into jars or bottles (I used a funnel to reduce the mess and not lose any from the pour). I filled up two and a half 8 oz bottles. I ended up adding the extra quarter cup of honey because it just didn’t seem thick enough, although it didn’t really thicken it much. 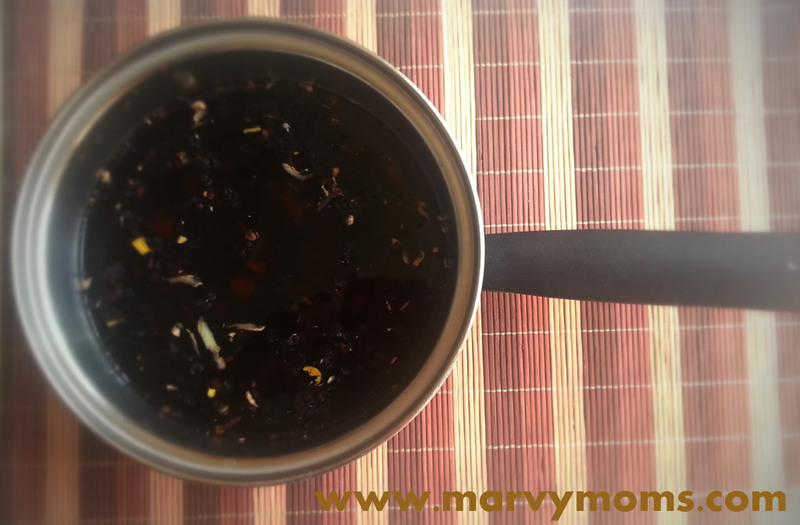 I also noted that Mountain Rose Herbs actually used a different recipe in their video than their blog post (video only had 2 cups of water and blog post had 3), so I figured more honey couldn’t hurt since I used a full 3 cups of water. The first time I tried to give JW elderberry syrup, he said that it “smells like rotten eggs” and refused to let me get it anywhere near his mouth. He finally agreed to let me give it to him in a plunge syringe (ask your local pharmacist for a free one or two of them). He likes the taste now, but still prefers to take it this way. Fine by me, less spills as elderberry syrup is quite dark and I’d rather not have to scrub that stain out. 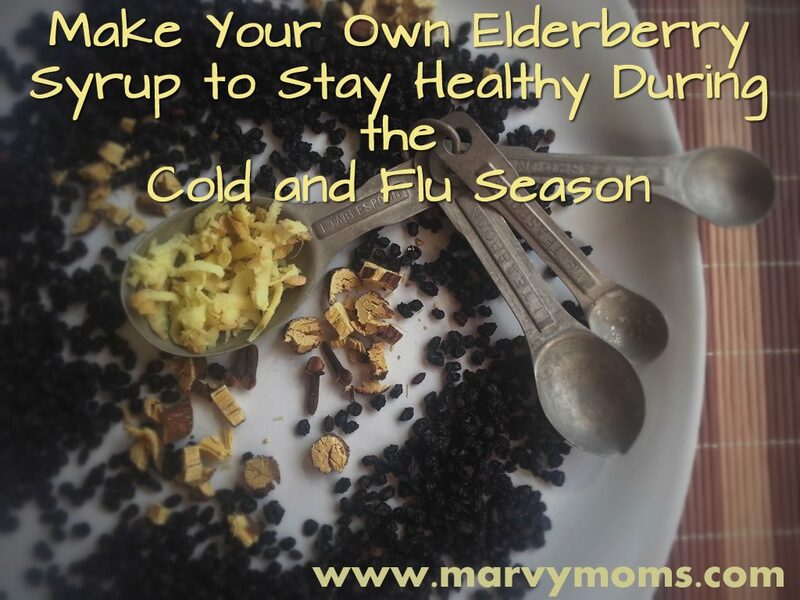 I also came across this site that has a recipe for elderberry gummies, as well as a syrup recipe that contains black pepper, licorice, rose hips, and apple cider, with the option of making syrup or gummies. Something different for sure. I got the idea to add licorice from this recipe in order to add some anti-viral goodness to the mix. DISCLAIMER: This information is not intended to diagnose, treat, cure, or prevent any disease. Only you and your qualified healthcare provider can decide the best treatment for your individual circumstances and condition(s). Please contact them for guidance. Read Marvy Moms full disclaimer for more information. Here’s to a healthy (NO) cold and flu season! 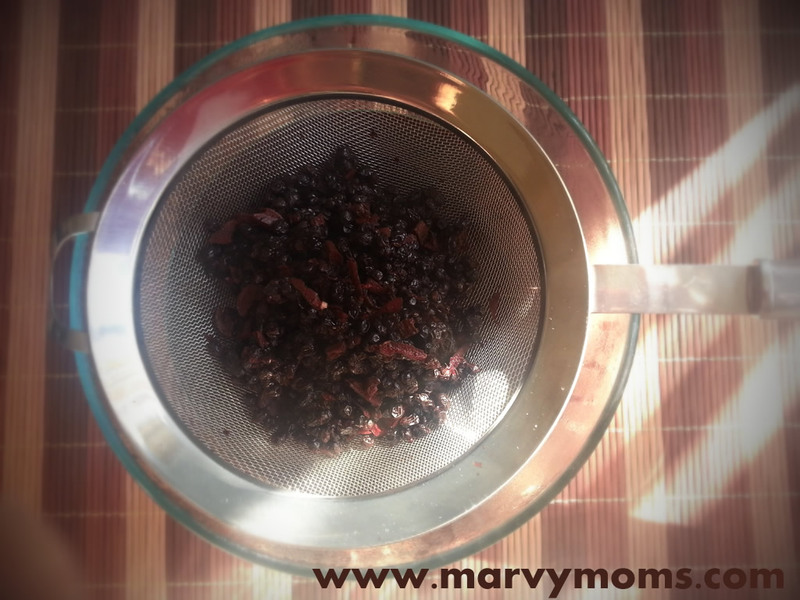 Tell us what you like to put in your elderberry syrup. Emily is a Web Whiz, Blogger, Speaker, Student, and Mom. She is the owner of WhizBang! Web Solutions LLC, and the founder of Marvy Moms. She loves working from home so that she can be there for every possible moment with her son, JW. Learning as she goes, Emily breastfed, bought cloth diapers (but never used them), made her son’s baby food, had a family bed for nearly two years, and loves spending time with her son. Emily is a certified Level II Reiki practitioner and offers her services both in-person and remotely to people interested in this energetic healing modality. Emily is currently enrolled as a student at the American Academy of Homeopathy to become a Certified Classical Homeopath and has earned a diploma in botanical medicine at Botanical Medicine Institute. She is also a Certified Aromatherapist, and received her training from Aromahead Institute. Thanks for stopping by, Katie! Let us know how the gummies work out for you. My guy likes the syrup so I haven’t even tried making gummies. They do seem great if your kids prefer them to syrup. Thanks for sharing this recipe. How much is one “dose” and how many times a day is recommended? Laurie, I don’t know if there’s any strict dosing. I’ve heard of people using it on their pancakes, so I haven’t been worried about taking too much. 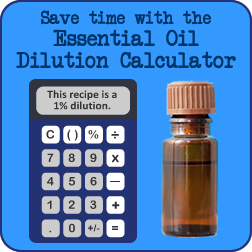 As a preventative, I have about a Tbsp/day and my son (four-years-old) has just over a tsp/day. When we’re sick (so far only when we’ve run out of syrup and I didn’t make a new batch soon enough), we take it with every meal and at bedtime. I’ve heard of people taking it even more often during times of sickness. I think I remember John Gallagher of Learning Herbs saying he’ll take it as often as every half hour, but I don’t know the amounts he takes at that frequency.